It’s always a highlight of any year at the movies when the Coen Brothers release a new project. For their newest film, the Coens have taken a small screen concept to the big screen, though its release on Netflix makes it likely that the majority of its viewing audience will, in fact, see it on a small screen. The Ballad of Buster Scruggs is an anthology tale in the grand tradition, weaving six stories over two hours and 12 minutes, most taking on average 15 to 20 minutes to run its course. They paint a picture of a world you might expect from the Coens’ take on the American tall tales of turn of the century cowboys in the Wild West. Sure, No Country for Old Men was a Western in its own way, mean and gritty and modern in the way it copes with lawlessness and a dispassionate view toward life and violence. This is closer to True Grit, which balanced that, well, grit, and violence with something a little more akin to those outsized stories and cowboys versus indians serials of the early age of movies. There’s always at least one established name on which to hang each story’s hat, be it Tim Blake Nelson, James Franco, Liam Neeson, Tom Waits, Zoe Kazan or Tyne Daly (and Brendan Gleeson). Nelson is the eponymous Scruggs, a relentlessly cheery outlaw with a guitar slung over his shoulder and a perpetual smile plastered across his face. He starts the movie off with a song, a clear attempt by the Coens to disarm the audience before that trademark brand of standard Coens nihilism takes hold. His story sets the stage in a very deliberate way, careening back and forth between bright and cheery and blood-splattering shoot outs. Franco’s segment provides some more of the same, especially once the eternally wonderful Stephen Root shows up to get in Franco’s way in the sort of fashion only he can. It’s perhaps fitting that the most languid and bucolic section of the film (and also the best part of the film) stars Waits, his trademark asphalt gargle of a voice and wanton pickaxe serving to violate an unsmirched valley in search of gold. It’s an adaptation of a Jack London tale and sets itself up as a curveball compared to the two stories that came before it. All of the violence here is perpetrated against mother nature, as he digs ugly brown holes all over the verdant countryside. Sporting a scraggly white beard and a litany of grumbles and groans as he looks for gold, Waits proves right the insanity that it took this long for the Coens to put him in a movie. The whole thing seems like a bit of a Trojan Horse, with the opening half expressly over the top and cartoony in order to cut to the core when things get a little more serious. Indeed, it’s the fifth story, starring Zoe Kazan as perhaps the purest character we see throughout the entire proceeding, that we get a better sense of just why the Coens decided to make this film the way they did. Sure, the West is filled with outlaws and bandits and “savages” and all manner of scofflaws, but there were good people out there too, sucked up among the violence and the greed and the immorality. Unfortunately, they don’t always come out of things as safe as their morality would dictate. Of course, the return of Bruno Delbonnel (the cinematographer of Inside Llewyn Davis) is a huge aspect to the overall success of The Ballad of Buster Scruggs. You could argue that it’s always a step down when they don’t work with long-time cinematography partner Roger Deakins, but my god does Delbonnel’s use of color ameliorate that sting, if not remove it completely. The pop of Buster Scruggs’ impossibly white outfit (and alarmingly white teeth) stands out against the mud caked grit and grime of everyone he comes across. So much of the Wild West is set against dusty deserts and drab dirt, but when we do get these splashes of color, which is especially evident Waits’ story, it is so strikingly vibrant and breathtaking. This is the first Coens film to be shot digitally, and you can see some of that flatness from time to time, but it creates a storybook or diorama feel that matches the tone they’re trying to achieve. As is always the case with increasingly more of these films, it’s a bit of a tragedy to be confined to small screens, but Delbonnel and the Coens provide a feast for the eyes no matter the screen’s size. Its greatest sin, it turns out, is its length. The six stories all together is a lot to take in, though it’s tough to imagine which of the stories would be cut to make the running time a little less intense. To some extent, you could argue that the first two stories, Nelson and Franco’s, overlap the most from a thematic sense, but cutting the first loses you the name of the picture and some of the film’s most overt comedy, and cutting the second deprives us of that wonderfully zany Stephen Root performance. Neeson’s story is an oddity, but a strangely alluring one, showing a completely different side of the West. That’s the odd aspect of watching The Ballad of Buster Scruggs. It’s clearly about twenty minutes too long, but it’s tough imagining what could possibly be cut. Maybe, in that sense, it would have worked better as a television miniseries, as it was originally conceived. The thematic linking of the six stories isn’t so untenuous that it couldn’t have still worked with some space in between the tales. Clearly, the Coens are experimenting with form a bit here, and in that sense Netflix seems like the perfect place for it. The stakes are undeniably lower, and what that says about the movie industry and where it’s headed is another story entirely. 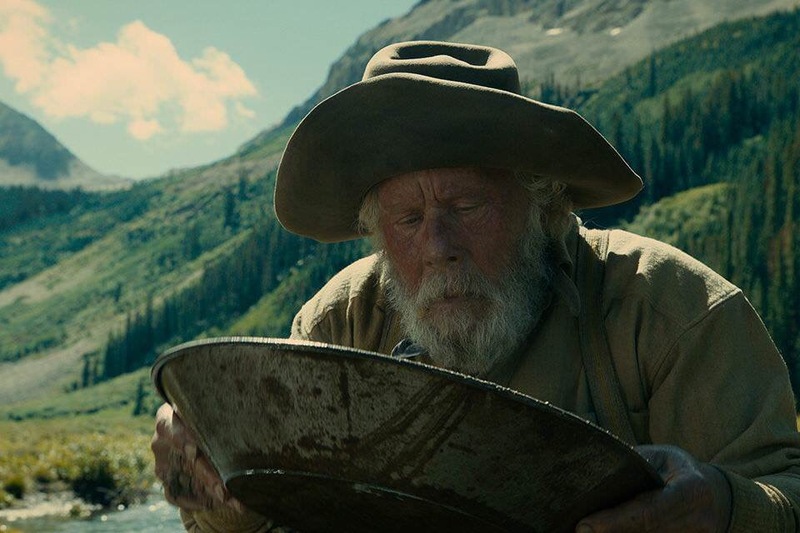 The Ballad of Buster Scruggs may lack the staying power of some of the Coens best previous work (and this could be an apt descriptor for their last movie, Hail, Caesar!, as well), but they remain master storytellers in their own right. When the film is at its best, as it is during the middle stories of Waits and Kazan, it’s as good as the Coens ever have been. When it’s at its worst it’s still enjoyable, rest assured. Perhaps it’s unfair to always expect a Fargo or a Barton Fink or an Inside Llewyn Davis every time they make a movie, but this is the weight of expectations that is created from such an illustrious career. It’s unlikely The Ballad of Buster Scruggs will have the staying power of those films, but it’s an enjoyable romp nonetheless.